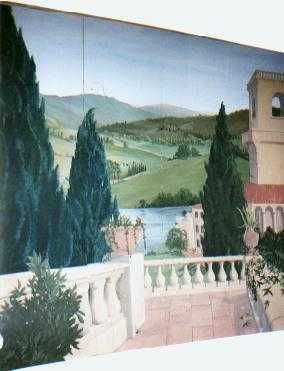 This scene was created on four 2.4 x 1.2 metre panels and placed outside a large window in an Italian restaurant in London W1., replacing the view of another buildings' rear. It was lit to give a sunny continental feel whatever the weather in London ! Richard Langley provides a complete interior design service, from discussing your ideas and tastes, through producing plans and artists impressions of the work to be done, to producing estimates and implementing the design. 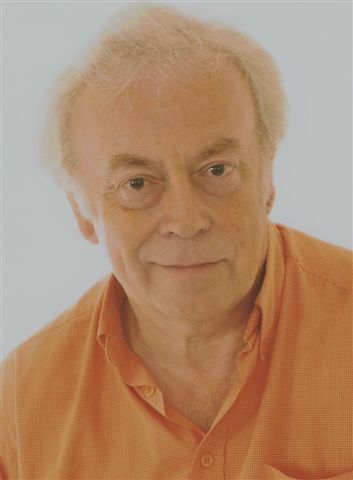 Richard implements many of his designs, on this website you can see a small selection of his work.